Matt brought me this frame of unknown origon. I would say roughly circa 1950, maybe 1960. At some time somebody had managed to snap one of the seat lug ears off. 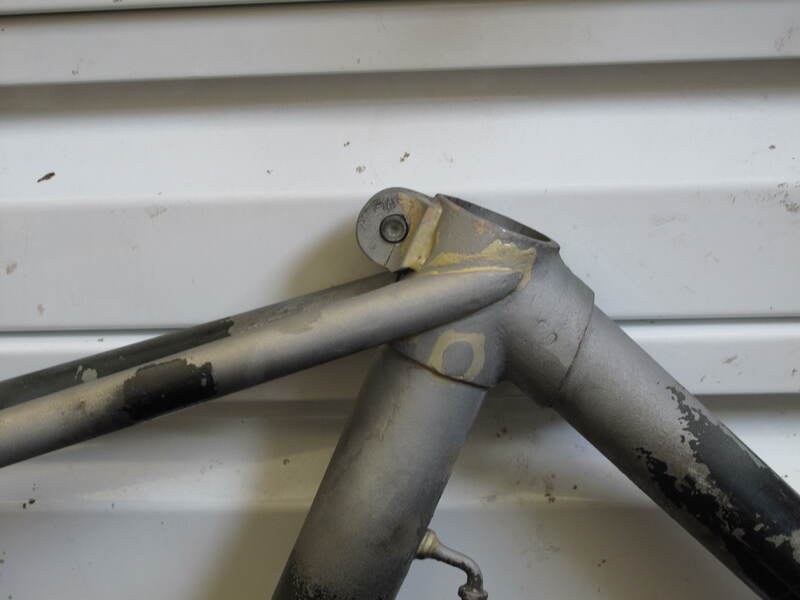 I can only imagine that the cause of this is because they had used a seat post that was too small and had simply continued to tighten the binder bolt past the point of no return. 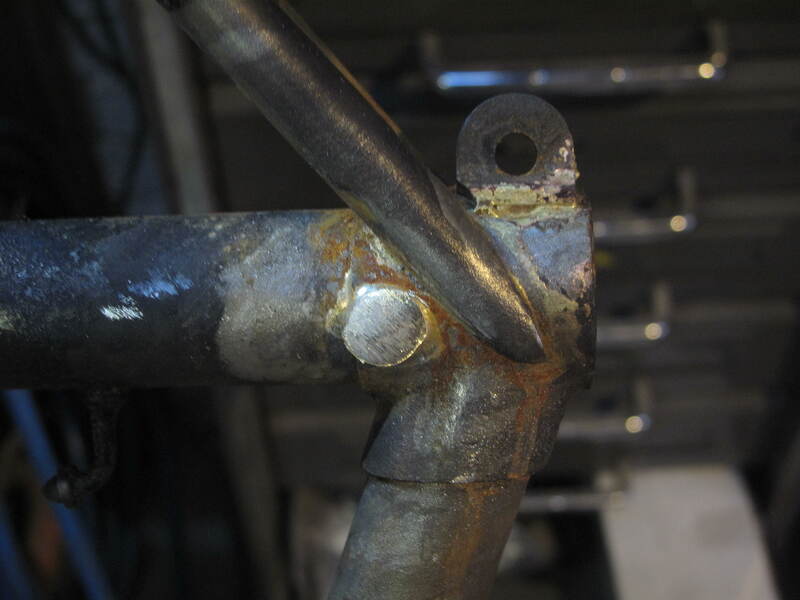 Anyway, their method of repair was to drill a hole straight through the frame (and presumably the seat post) so that they could then put a bolt right through the lot and prevent the post from slipping down. 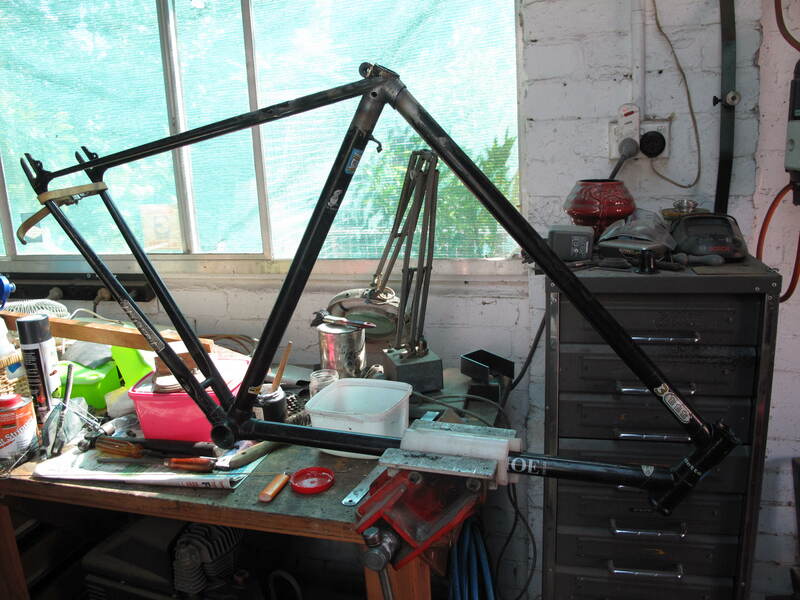 This rendered the frame somewhat useless for anyone of a different height, letalone the asthetic damage done to it. 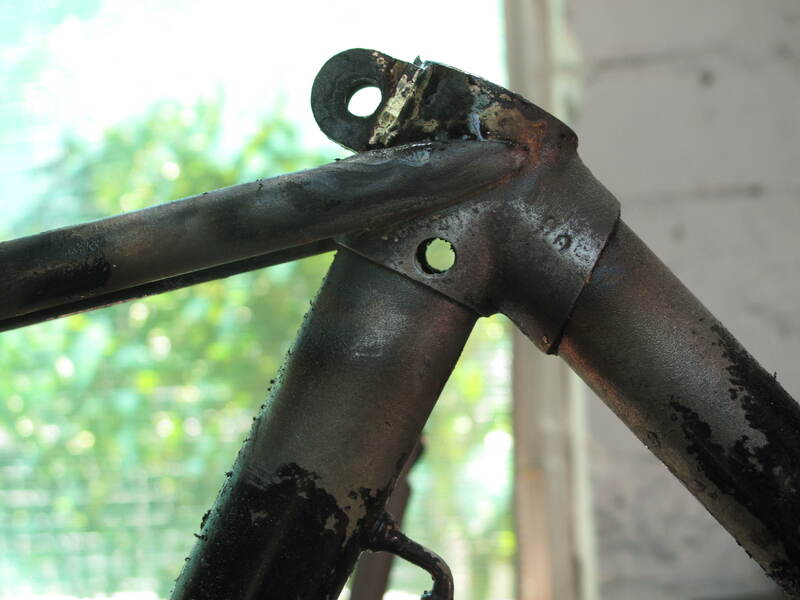 I ground off the remains of the binder and fashioned a new one that was then brass brazed on the the lug beside the original. I turned up a couple of plugs and silver soldered them into the holes.